The Scoop: When Peggy Bennett founded Straight to the Heart, she established herself as one of the top matchmakers in Seattle. Her hands-on and personalized approach to local matchmaking appeals to busy professionals who want a shortcut to romance. Now this seasoned dating expert has decided to expand her reach by hosting an informative podcast and offering individual coaching programs packed with dating advice. Peggy gives singles hope and inspires them to put themselves out there by sharing her experiences as a matchmaker and a modern single woman. As a boutique matchmaker, Peggy Bennett provides many practical dating services to support singles as they search for a relationship. She can offer personalized introductions with clients ranging in age from 27 to 65. She can accompany clients to parties, bars, and social situations as an under-the-radar wing woman. She’ll even edit her client’s dating profile. But sometimes her clients don’t need hands-on assistance. Some singles just need someone to coach them through the tough times and advise them on their journey to true love. Peggy’s work as a dating and relationship coach is more about changing minds than recruiting dates, and it can have a long-lasting impact on those who take her guidance to heart. Suzanne, for instance, signed up for Peggy’s coaching program, applied the dating and relationship techniques to her life, and wound up in a fulfilling relationship soon afterward. She later wrote a letter to ask Peggy if she’d get ordained and marry them on Valentine’s Day. Peggy Bennett is the Founder and CEO of Straight to the Heart, a popular matchmaking firm in Seattle. Even as the dating scene changes and evolves, Peggy advocates on behalf of the core values and traditions that have grounded relationships for generations. Peggy has had a tremendous influence on the local dating culture in Seattle, but she has now taken strides to broaden her audience by hosting regular podcasts. 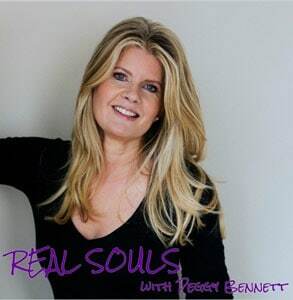 “Real Souls with Peggy Bennett” airs every other Sunday. Listeners can find its episodes on iTunes, Stitcher, or on Peggy’s website. Peggy’s authoritative dating advice resonates with singles of all ages. Peggy’s podcast is a breath of fresh air for cynical and downtrodden daters everywhere. The professional matchmaker focuses on sharing stories and teachable moments with her audience, discussing everything related to love and relationships. Her goal is to help people live their best life, so she tackles a range of issues that hit close to home. A different guest expert joins her in each episode to lend a fresh perspective to dating and stimulate interesting conversation about what singles and couples can do to improve their lives. Peggy said her guests range in background and experience but they all share one thing in common — a desire to help people figure out how to maintain healthy relationships. “They all are real people, sharing their lives and opening up their souls,” she said. Together, they inspire and entertain, they teach and advise, and, most importantly, they give hope to everyone who listens in. People from across the country have started following Peggy’s podcasting efforts and taken notice of her thoughtful, caring, and soulful coaching style. Peggy made a seamless transition from one-on-one consultant for Fortune 500 companies to powerhouse matchmaker running a boutique company. She received her certification as a matchmaker from the Matchmaking Institute, and she has spent over a decade studying the New Thought philosophy’s Law of Attraction — the ability to attract into our lives whatever we are focusing on — and trying to learn the secrets of love. Today, Peggy calls herself a Clarity Love Coach because she enlightens her clients on what they can do to attract the perfect match. The matchmaker provides useful insights as well as handpicked introductions to help singles navigate a new relationship successfully. Her matchmaking services are only available to singles living near Seattle, but her new coaching programs will provide actionable dating advice for singles throughout the world. “How to Manifest Your Soulmate” is an eight-week coaching program designed to teach singles everything they need to know to cultivate a loving partnership. This new course includes weekly one-hour sessions with Peggy. She coaches participants over the phone, in person, and through Zoom. She discusses everything from making intentions clear to listening to your intuition when counseling individuals and encouraging them to overcome dating obstacles. Her thoughtful guidance can help clients feel better about themselves, which makes them feel better about dating, and that’s when everything can change for them. In the next year or so, Peggy is planning to offer group coaching sessions so she can help more people feel less alone and manifest the love they deserve. Peggy has an innate ability to see straight to the heart of someone’s dating problems, and she uses her gift to help her clients solve their relationship woes and land the date of their dreams. She collected testimonials from many people who say her matchmaking and coaching changed their lives. R.M. and D.M. toasted Peggy at their wedding because her persistence brought them together. It took some prodding, but, once the couple met, they hit it off, and they’re now celebrating their three-year anniversary. Making a difference in people’s lives isn’t just Peggy’s profession — it’s her passion. She loves being part of her clients’ love stories and watching them thrive in the dating scene. Her matchmaking services, coaching programs, and podcasts equip daters with vital advice and words of wisdom so they know how to handle any curveball that comes their way. Peggy’s positive and uplifting perspective on dating comforts singles who feel out of step with the swiping culture. This professional matchmaker urges her clients to pursue a quality dating experience and keep their hearts open to the romantic possibilities around them.